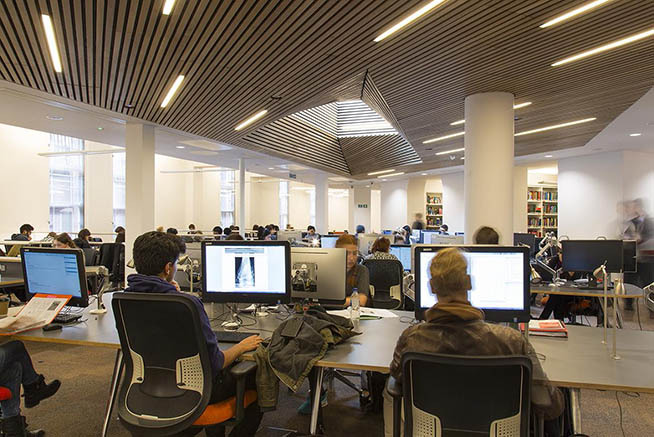 Refurbishment of the Cruciform Library, Cluster and adjacent Seminar rooms to create an integrated learning 'hub' at the heart of UCL's Medical School in Bloomsbury. 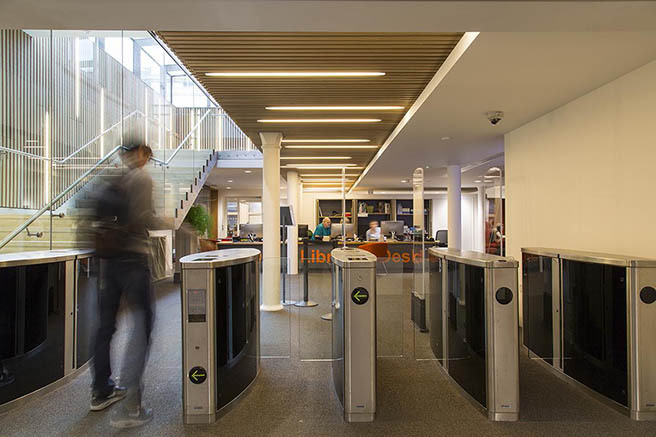 The new Cluster was designed with input from the UCL E-Learning Environments team and teaching staff from UCL Medical School. 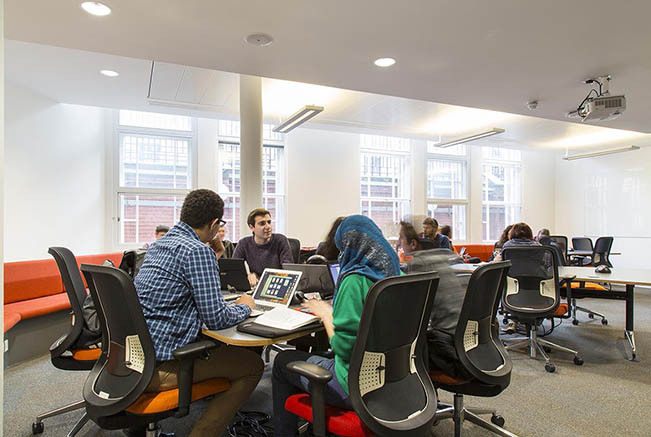 The space provides a flexible teaching environment where very large groups can be taught through incorporation of the smaller, discrete open-access PC room. 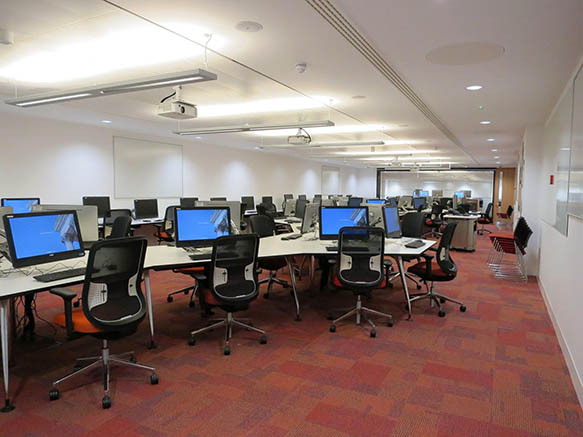 Five seminar rooms with integrated audio-visual equipment, transform into study rooms for private revision during examination periods. 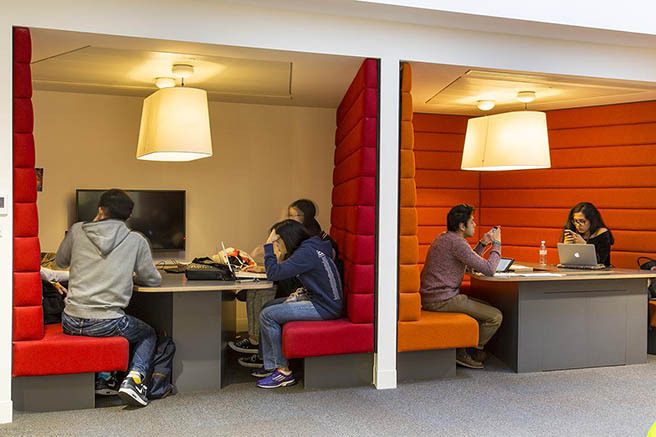 The quiet study area has improved natural lighting, wifi and desktop power. 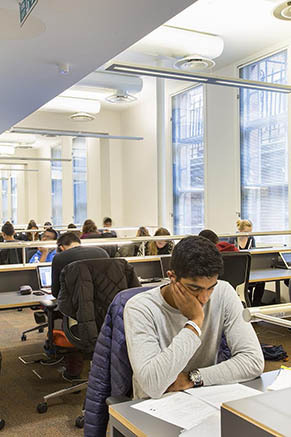 This along with the separate silent study room provides space for contemplation and reading. 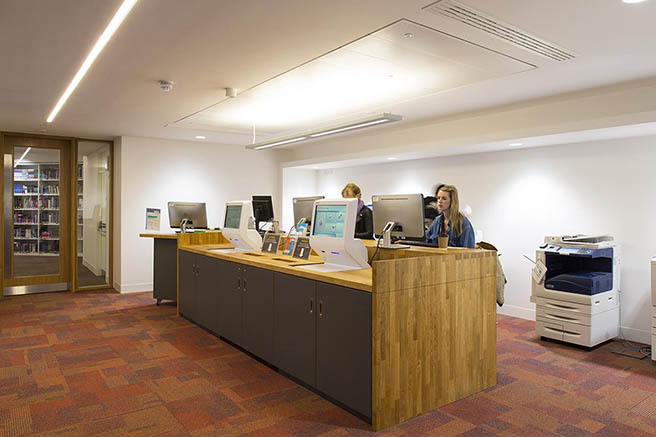 Three bookable pods and two rooms with AV equipment for preparation of presentations and project work. 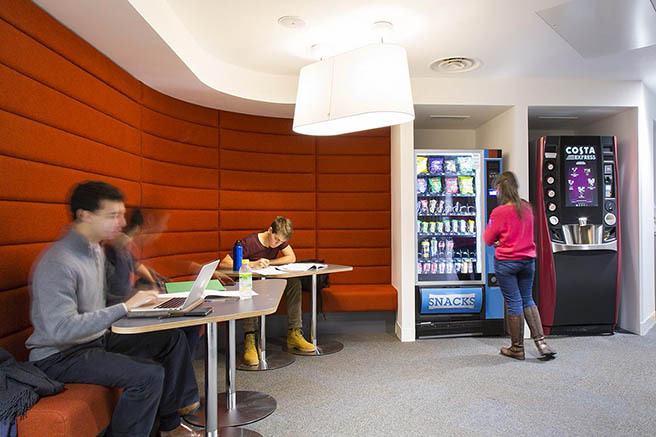 An additional 'Grand Round' area provides for collaborative work and space for presentations. 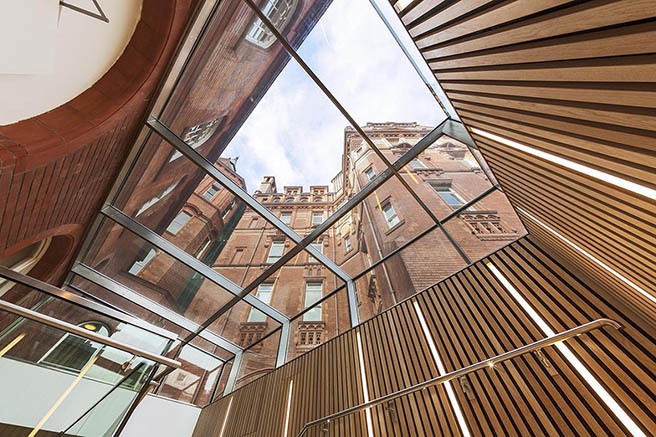 A striking contemporary staircase leads users from the entrance foyer into the Hub where the new exhibition walls permit showcasing of UCL Museums & Collections medical artefacts and medical illustrations from UCL Special Collections.